Merry was just a newborn when she was abandoned on the side of the road, barely breathing. Luckily someone spotted her and called for help, and Animal Aid Unlimited rushed out to try and save the poor calf’s life. 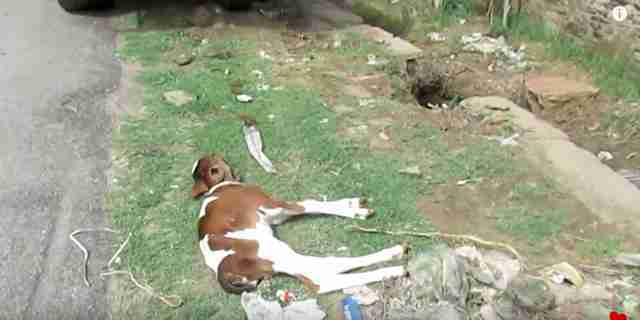 When rescuers arrived, they found Merry lying motionless next to the road, barely clinging to life. She had a piece of rope tied around her neck, meaning she had likely belonged to someone — until they decided they couldn’t be bothered with her anymore. The baby cow wasn’t even aware that help had finally arrived, and rescuers quickly wrapped her in a blanket and rushed her back to their shelter, hoping that they could somehow help her. 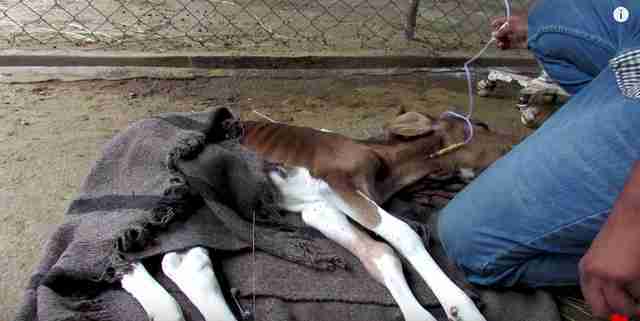 “Her body was completely lifeless when we lifted her,” Animal Aid Unlimited wrote in a video about Merry’s rescue. … but on the fifth day, little Merry finally stood up for the first time. 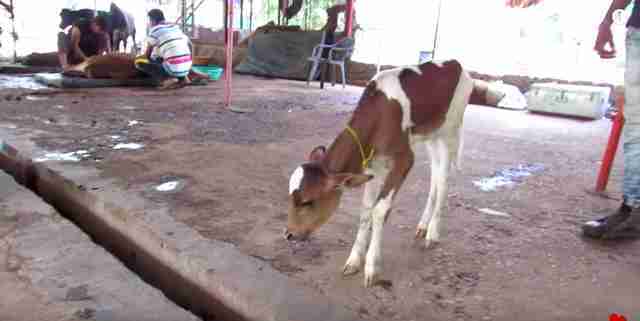 The little calf was able to walk around a bit, and took milk from a bottle as she leaned into one of her rescuers, happily accepting all the love she’d never been given before. “Day by day, little Merry grew stronger, surrounded by her new family of people and animals who love her,” Animal Aid Unlimited wrote. 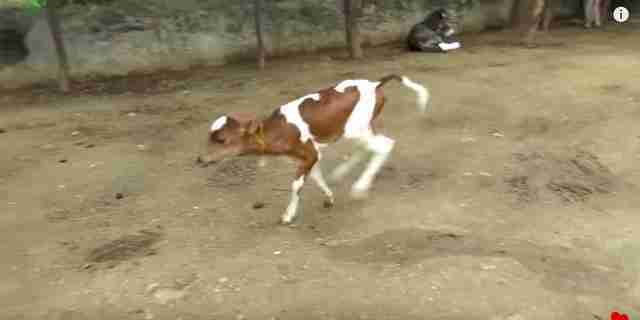 After little Merry took her first steps, there was no stopping her. Before long, she was prancing around like a puppy and running every which way, so happy to finally be enjoying life. She loves all of her new human and animal friends so much, and spends every day exploring and spreading the love that helped her to heal. Merry will now spend the rest of her life at the Animal Aid Unlimited shelter, hanging out with all her new friends and enjoying her second chance at life. If you’d like to help other animals like Merry, you can donate to Animal Aid Unlimited.